Bali Kuta to Legian Street has dubbed as the city with an exciting night life. Gili Trawangan Lombok has dubbed as the island that never sleeps. Gili in Lombok. Gili Trawangan is the largest island of the two smaller surrounding islands, Gili Meno and Gili Air, which is located in the North West Lombok, West Nusa Tenggara. Gili Trawangan is the center of tourism activities in Lombok, like Kuta in Bali. The island has plenty of activities to entertain and pamper tourists on vacation. From morning till night, there are plenty of activities throughout the day, seems to be the island that never sleeps. If Bali has a day to sleep and calm day, yatu during Nyepi day, but Gili Trawangan not meliki day to rest and sleep, so the whole day of the year is always Sibut island with tourist activities. 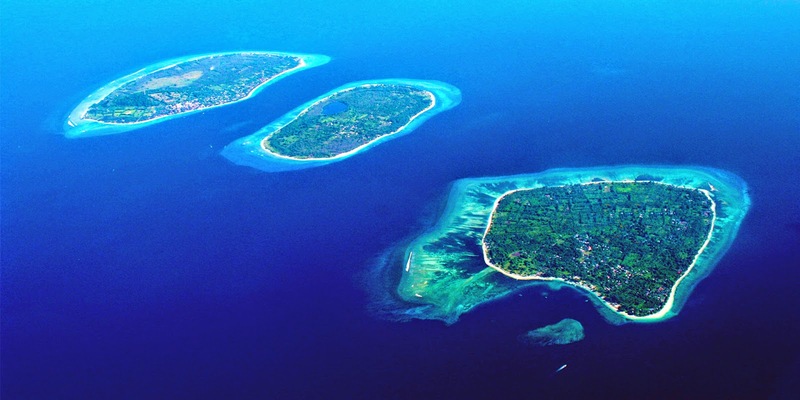 Gili Trawangan is always referred to as an island that never sleeps. The proof, many international media such as the Times, the BBC, and others who say that this island never sleeps, there are always activities from morning to night. From morning to night, with beautiful marine tourism in Gili Trawangan, foreign tourists would be able to make any local tourists linger on the beach. Lots of fun water activities presented this island. Local or foreign tourists, from morning until evening, they are usually on the beach. In the afternoon, they can snorkel, diving, and so on. After that, they could have dinner. Gili Trawangan there are a lot of options dinner fun. After dinner, the activities of foreign tourists not only a local would also stop. There was a party held nightly entertainment throughout the night. Night was bright and lively, although the evenings, the island is beautiful and feels good dangat. Eat well, good music, pleasant, enjoyable evening entertainment. Almost every night party held at Gili Trawangan.